Bubble wrap that can be worn! due to its double thickness. with larger needles so it knits up quickly. 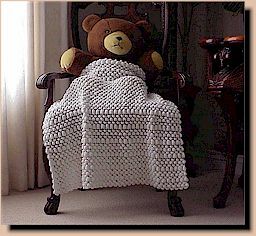 Designed to snuggle under for a cool California winter, this afghan is not too heavy, but warm. All borders are self-finished with a cable on each side. It knits up quickly using a heavier Worsted yarn and larger needles. 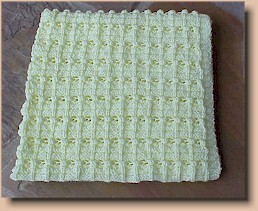 Light and airy, this blanket is perfect for the Spring/Summer baby. A fun wrap for cuddling. 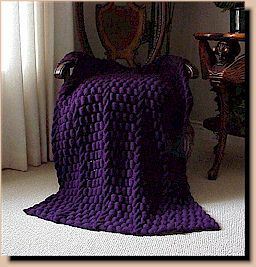 make a beautiful lap afghan (36” x 48”). A touch of lacy knit bubbles! Spring baby. A fun wrap for cuddling. 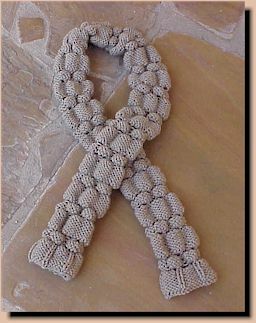 Additional patterns are forthcoming....please visit often!! Copyright © 1999 - 2015 Nancy Hearne All Rights Reserved Worldwide.